The Cook-a-Palooza Experience: Icy-Cold Blueberry Orange Smoothie...Classic Fall Recipe? Icy-Cold Blueberry Orange Smoothie...Classic Fall Recipe? Surprised to see me posting a smoothie recipe in mid-October? Me too! A pumpkin spiced latte would definitely be more appropriate with the cool air outside. The thing is...I have frozen blueberries from the summer with a mild case of freezer burn that desperately need to be used. Smoothies offer an easy way to find a home for them. Now, I don't want this recipe to be totally irrelevant for this time of year which is why I've done some checking around online to learn about the health benefits of blueberries. Turns out they have a lot going for them. They're packed with vitamins and antioxidants that boost your immune system so it can CRUSH things like evil fall flu viruses that try to bring you down. Some studies even suggest blueberries improve memory function. I’m still waiting for that benefit to kick in. So...if I’m reading what I just wrote correctly, this tasty smoothie, full of healthy blueberries, would fit right in with my list of recipes to beat the fall flu season; it may one day help me remember what my wife tells me in the darkness of an early fall morning when I'm in a confused daze...AND...it's perfect for using up frozen blueberries from the summer?! Sounds like a classic fall recipe to me! Make Smoothies with LESS effort! Traditional counter-top blenders still come in handy for big blending jobs. But having to clean one for a single smoothie? Forget that action. One of my all time favorite power cooking tools is my stick blender. I use it all the time for quickly blending smoothies and for pureeing soups and sauces! 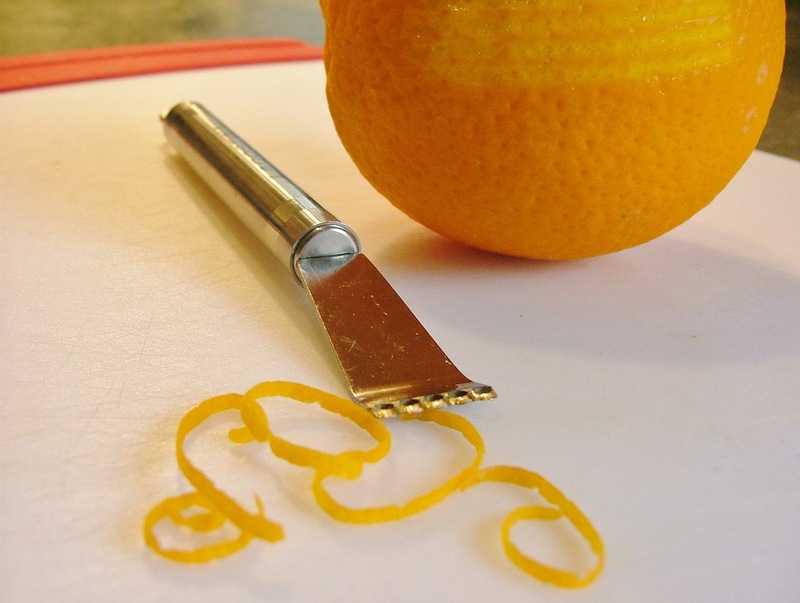 Here’s what I used to make the orange zest. Another favorite utensil of mine! 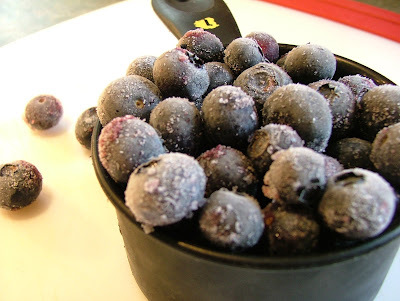 Since it's late in the year, frozen blueberries may be your ONLY option for this smoothie but that's o.k! They'll help make it thicker! 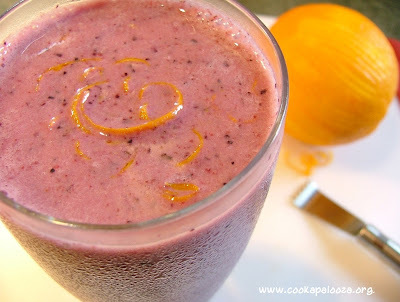 A frothy smoothie made with frozen blueberries, low-fat vanilla yogurt and orange juice. 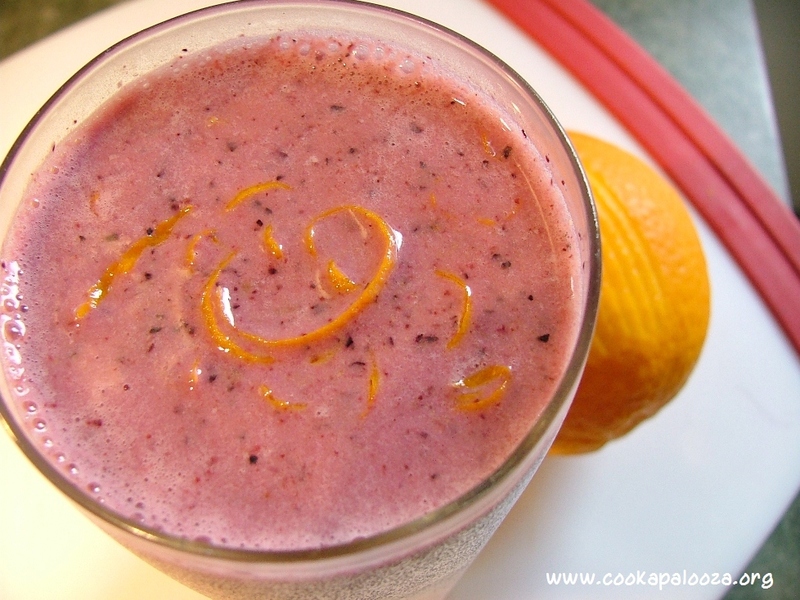 Blend blueberries, orange juice and yogurt together until smooth. Top with orange zest.